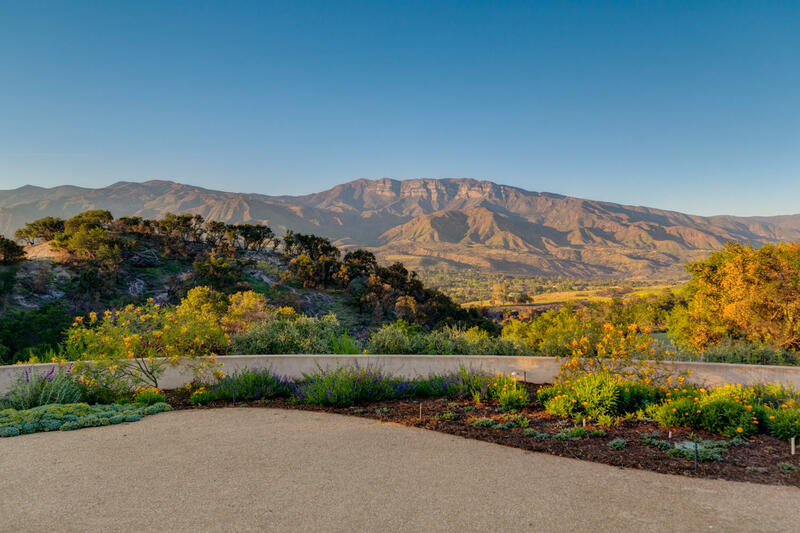 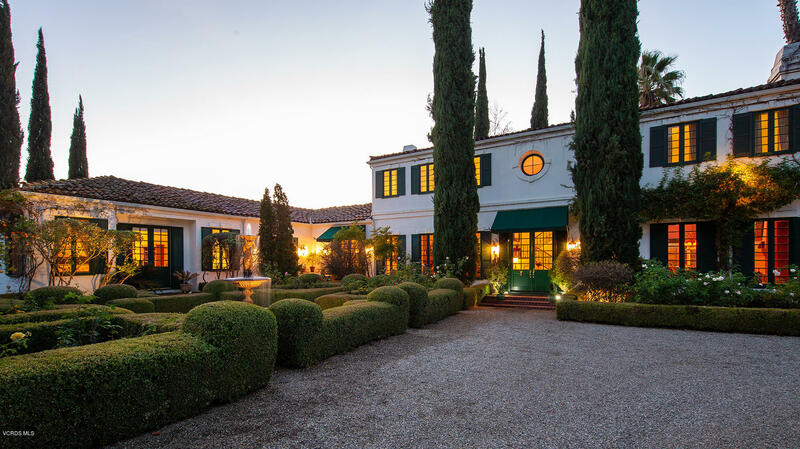 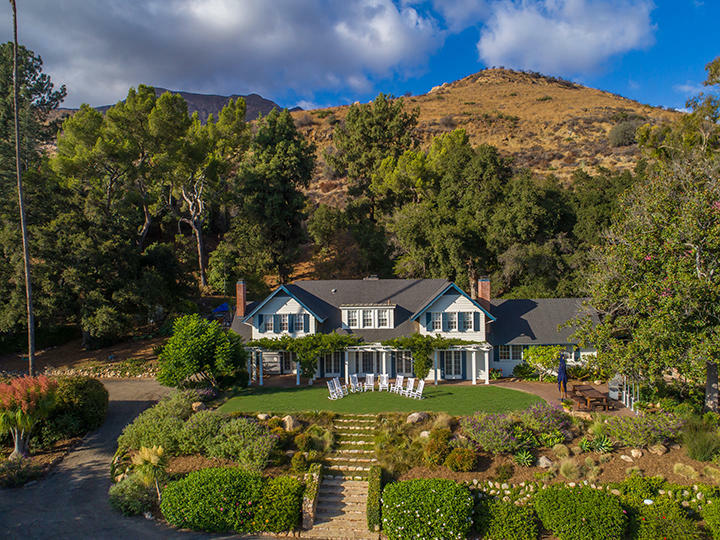 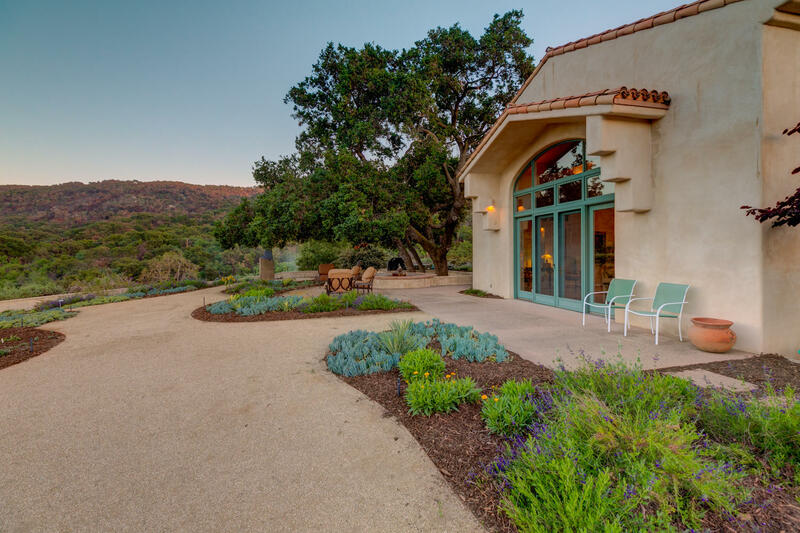 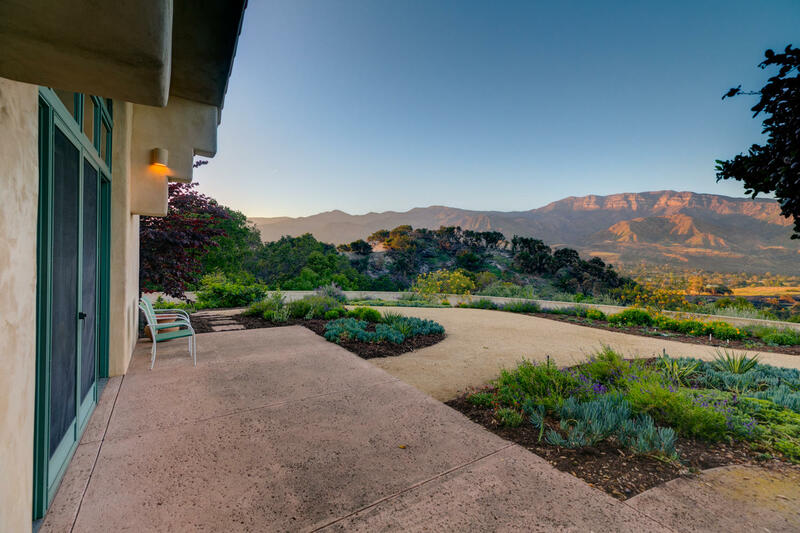 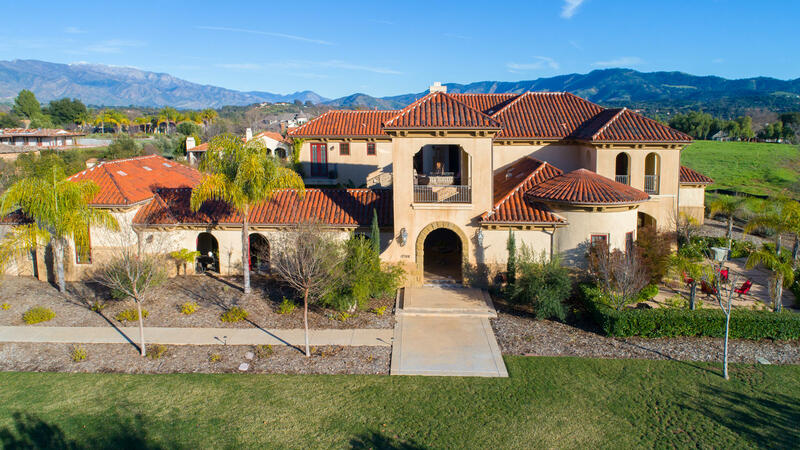 This timelessly lovely, Spanish-style estate, is perfectly sited on 110+/- acres to capture the most beautiful views in Ojai! 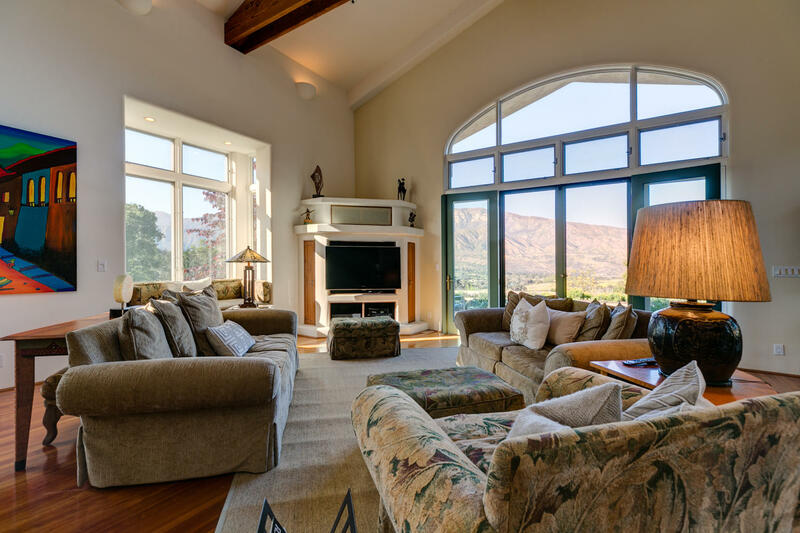 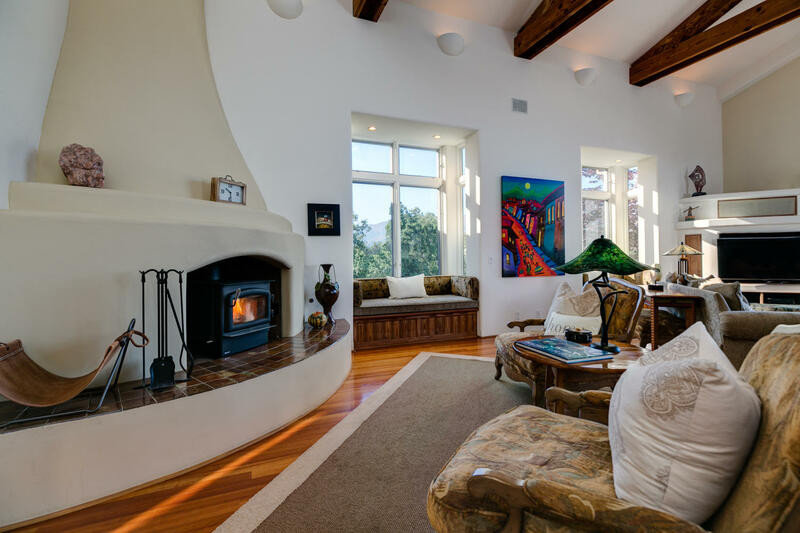 The Main House is graced by a jaw-dropping Entry and Great Room with open-beam, soaring ceilings, cherry-wood floors and never-ending windows. 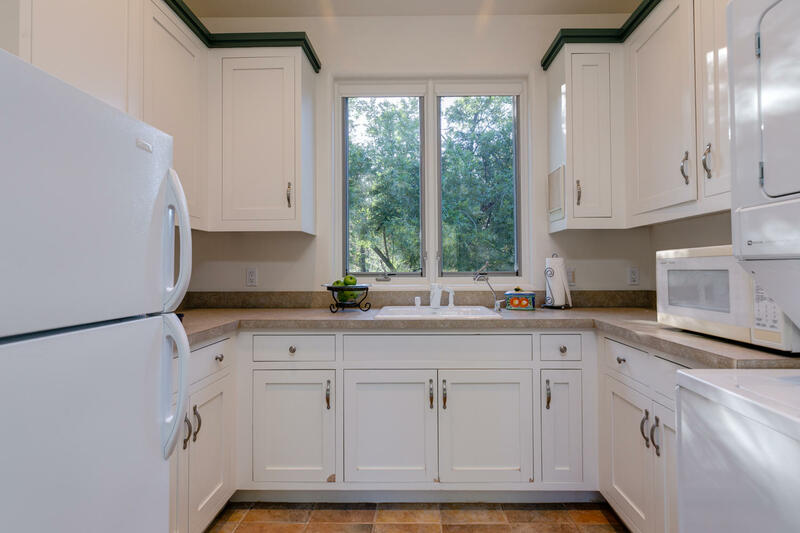 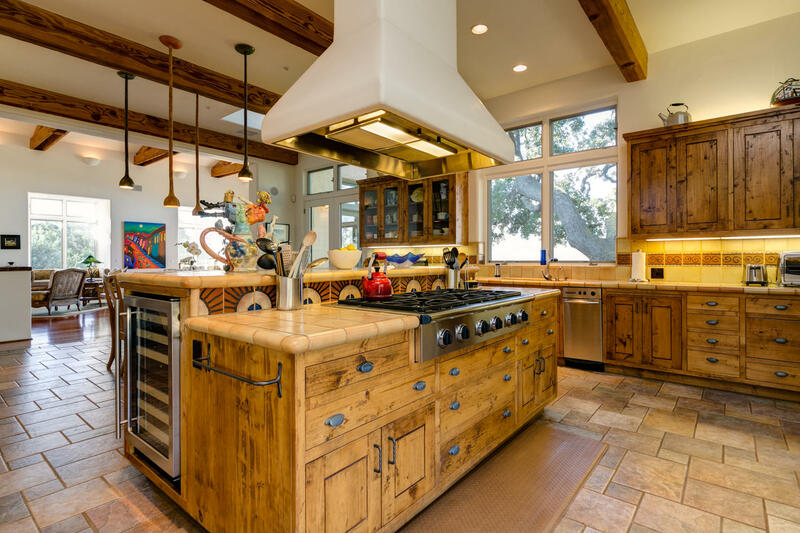 The Kitchen has tons of rustic alder cabinets, full-size Sub-Zero Fridge and Freezer, a Dacor double oven and 6-burner range. 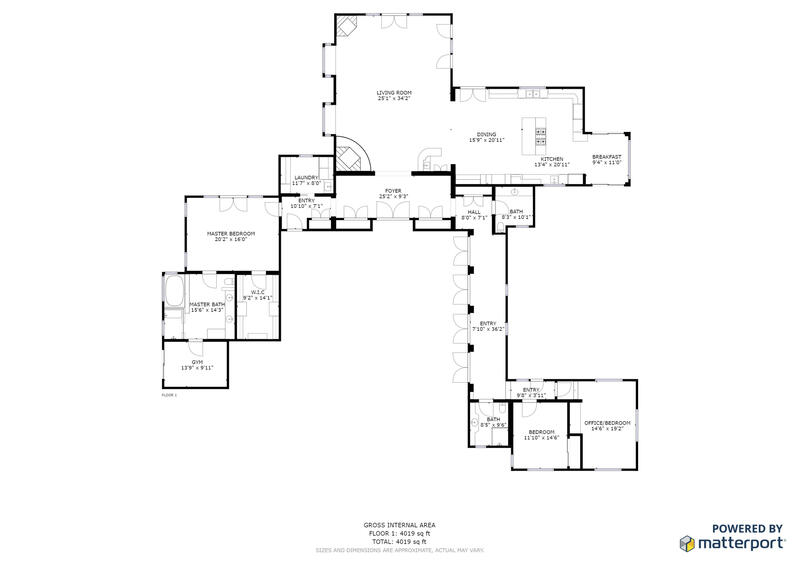 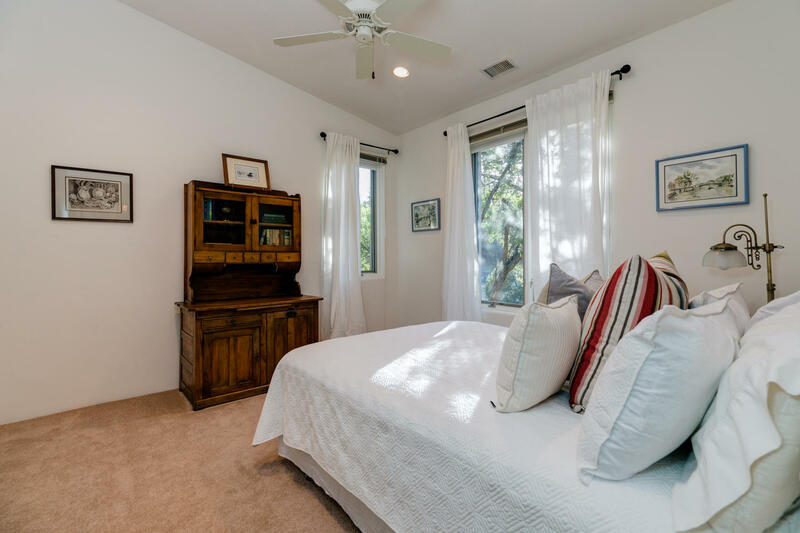 The spacious Master Bedroom and Bath exist in their own wing with French doors to the outdoor space, a jetted tub and steam shower, while the two other bedrooms and a full bath are in a separate wing. 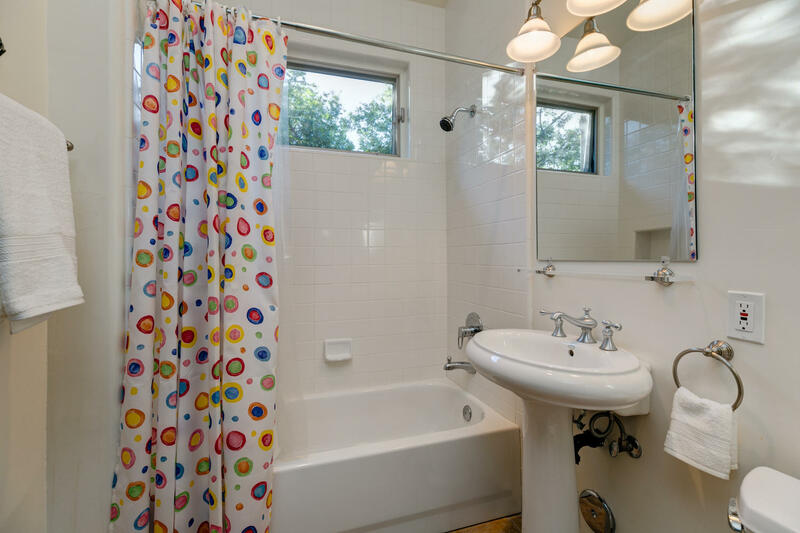 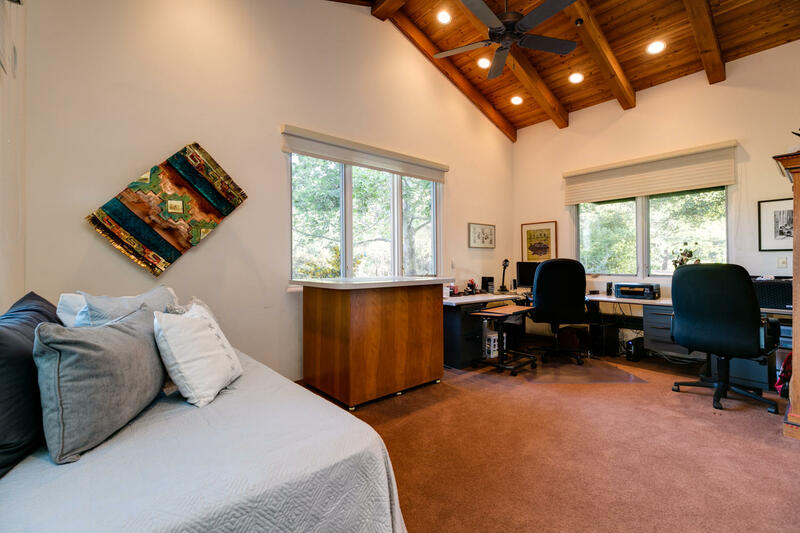 In the same beautiful style is a 4 bed, 2 bath Guest House and a 1000sqft Art Studio awaiting your muse. 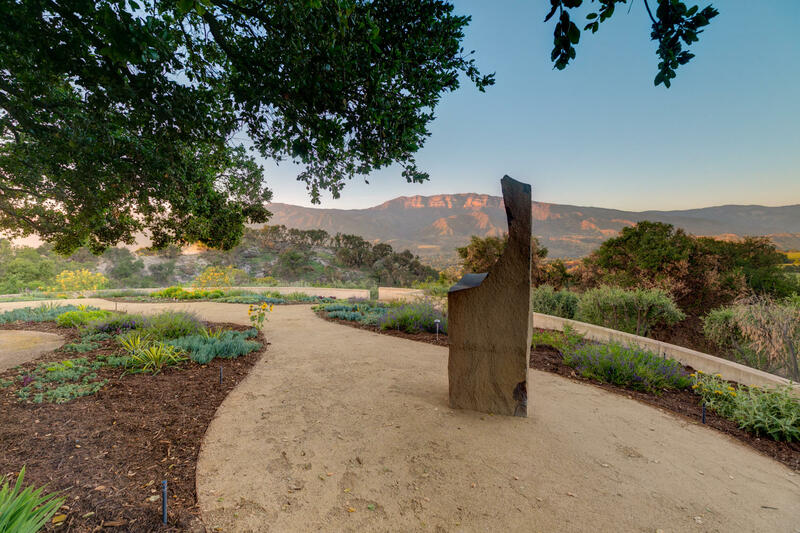 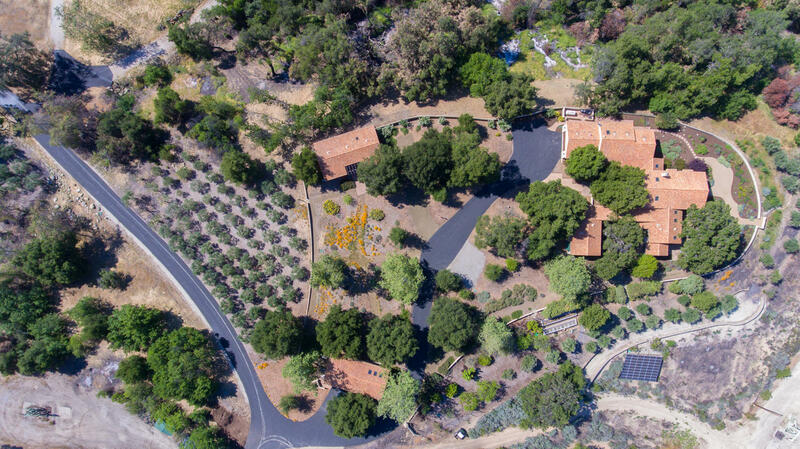 The grounds offer nearly 200 oil-producing olive trees and 20 fruit trees including plum, nectarine and apricot and a charming, screened gazebo for outdoor dining. 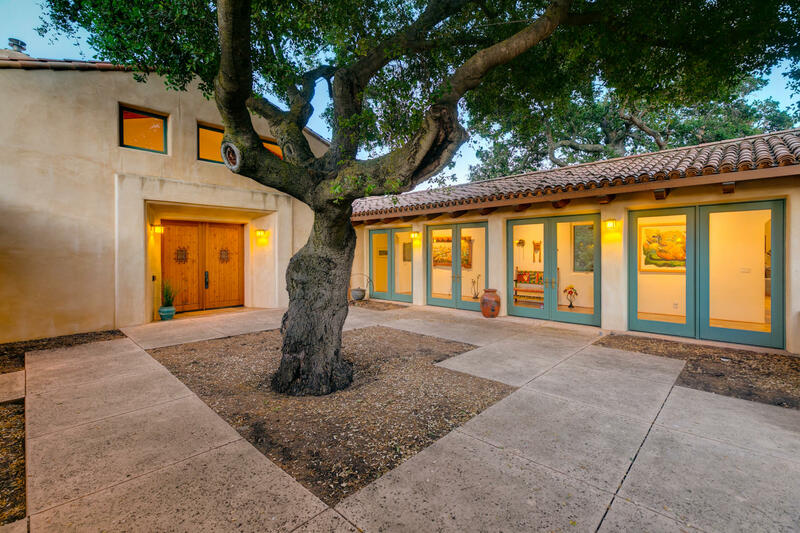 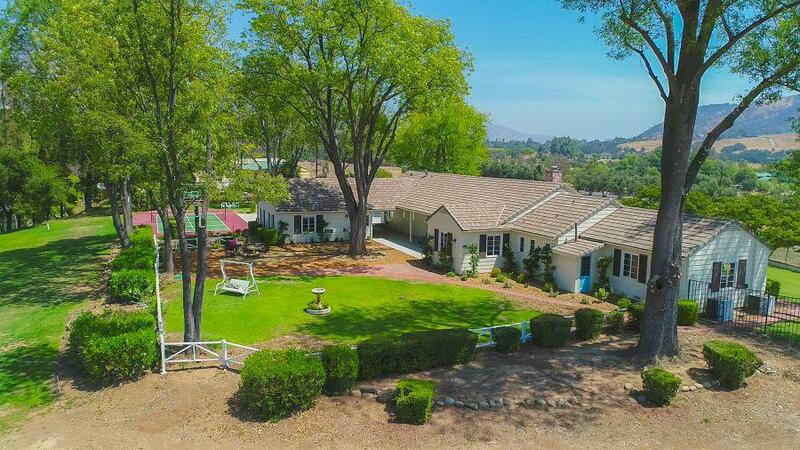 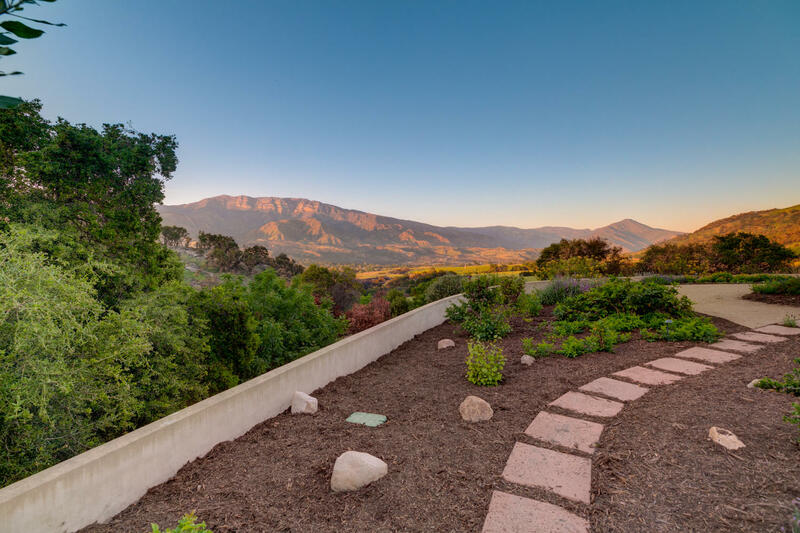 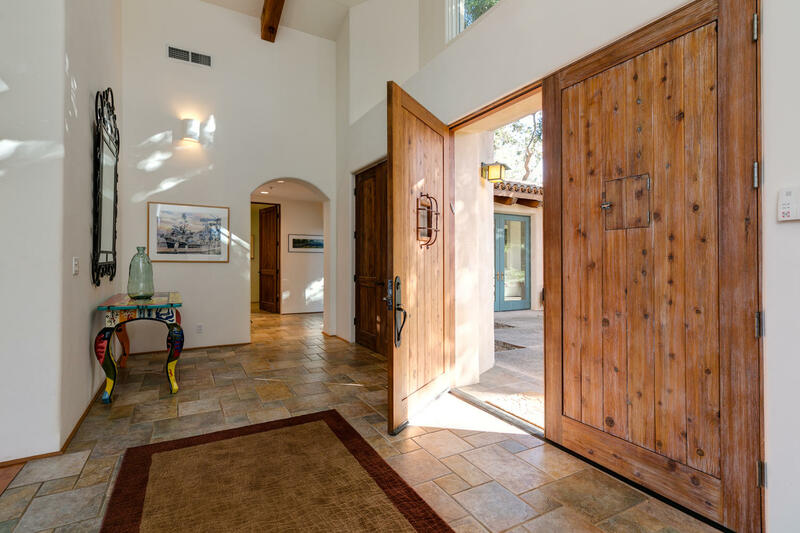 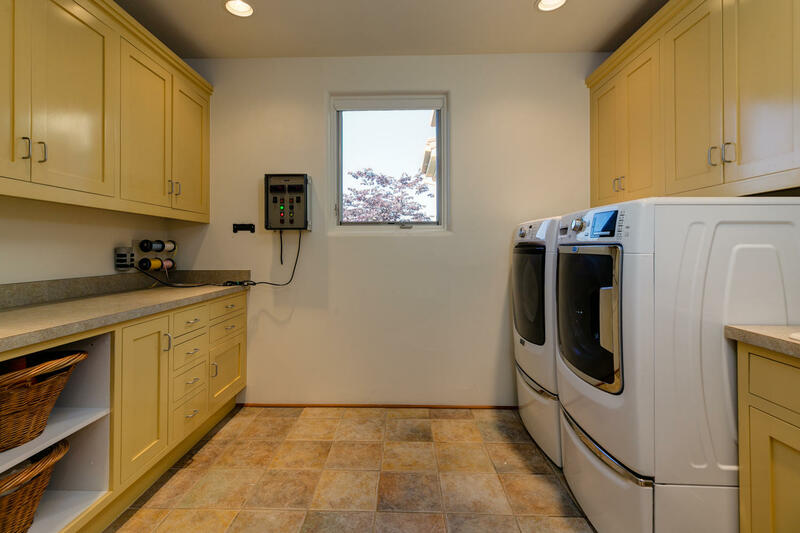 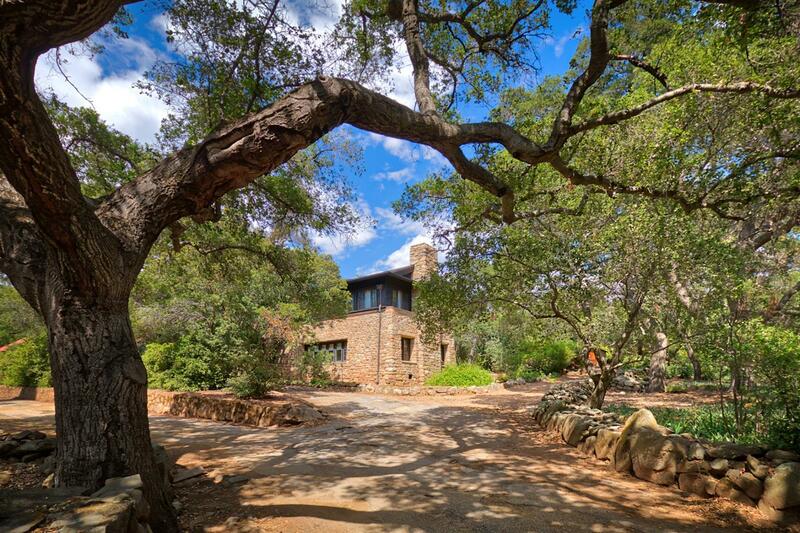 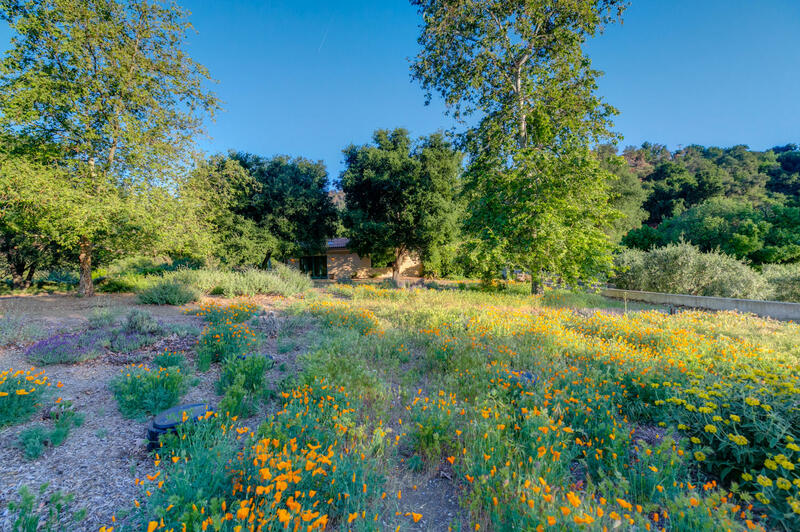 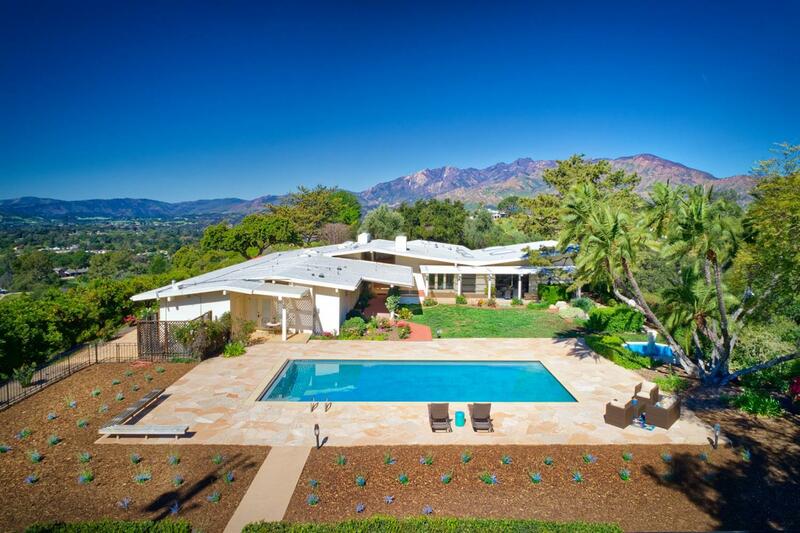 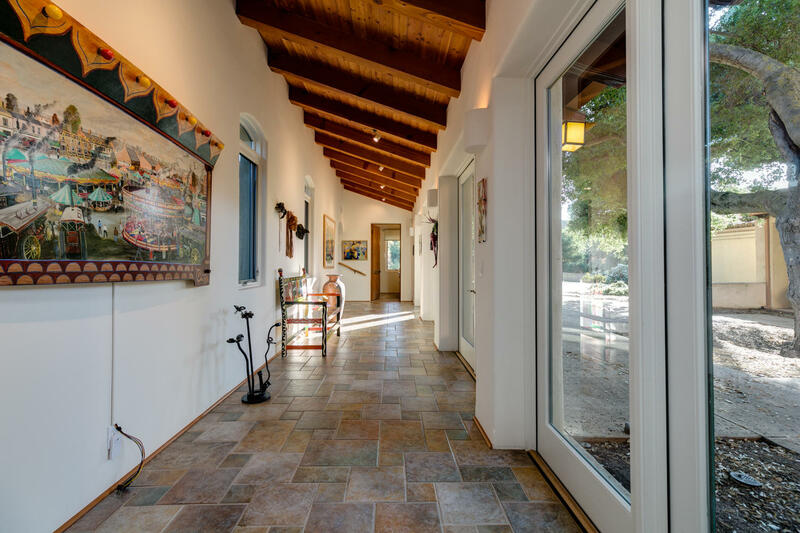 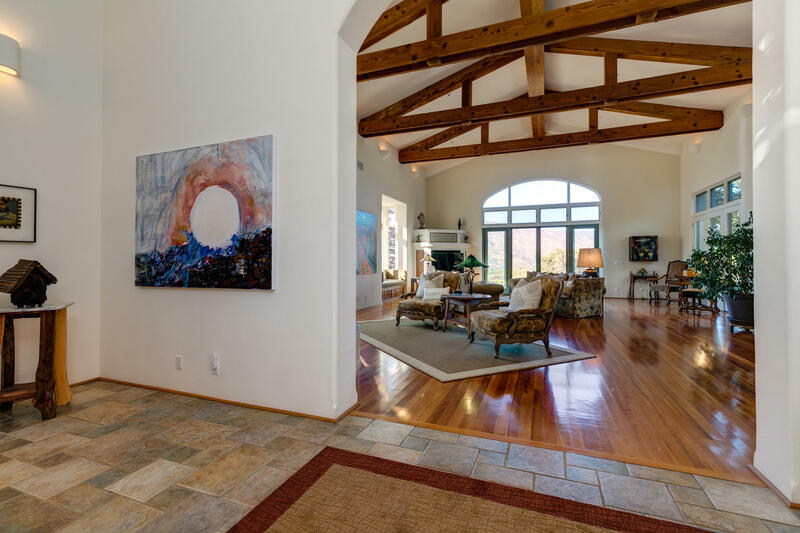 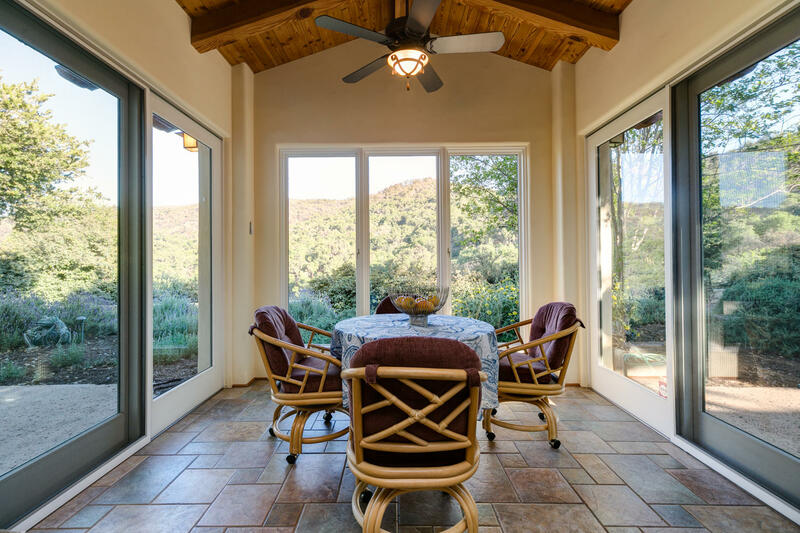 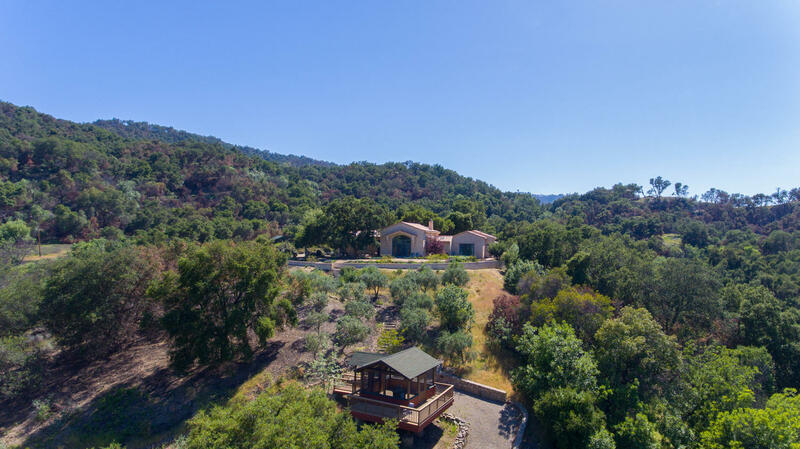 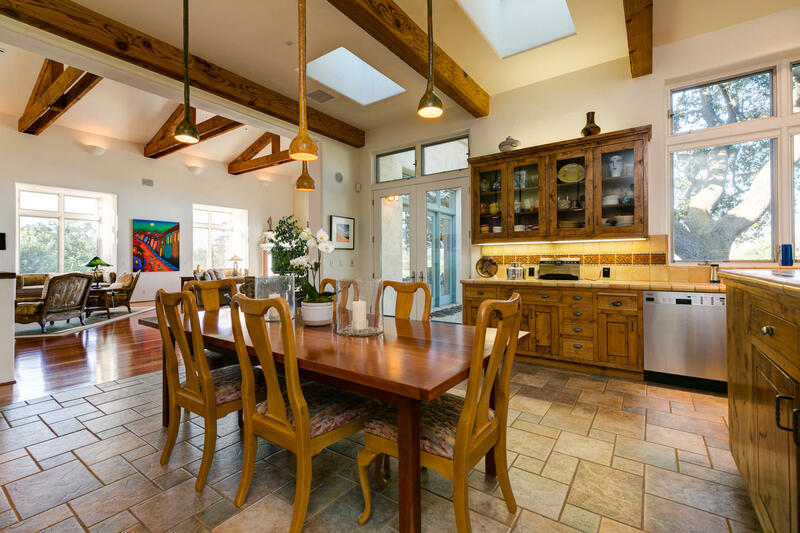 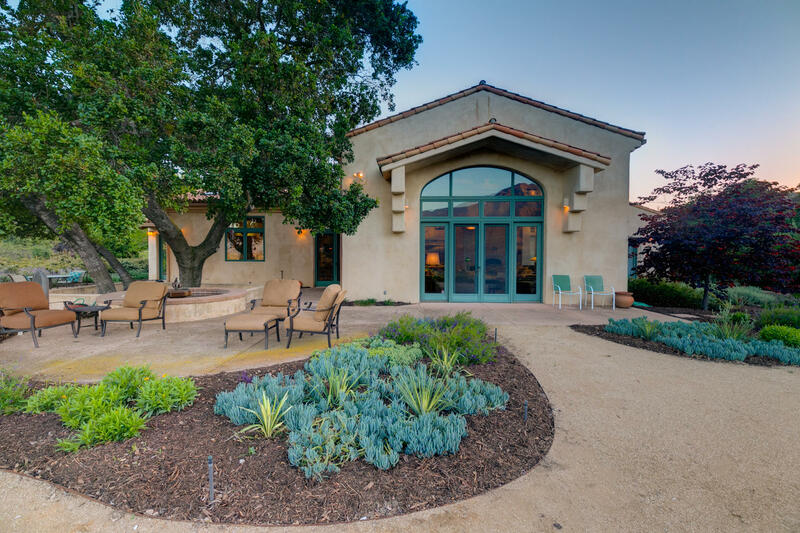 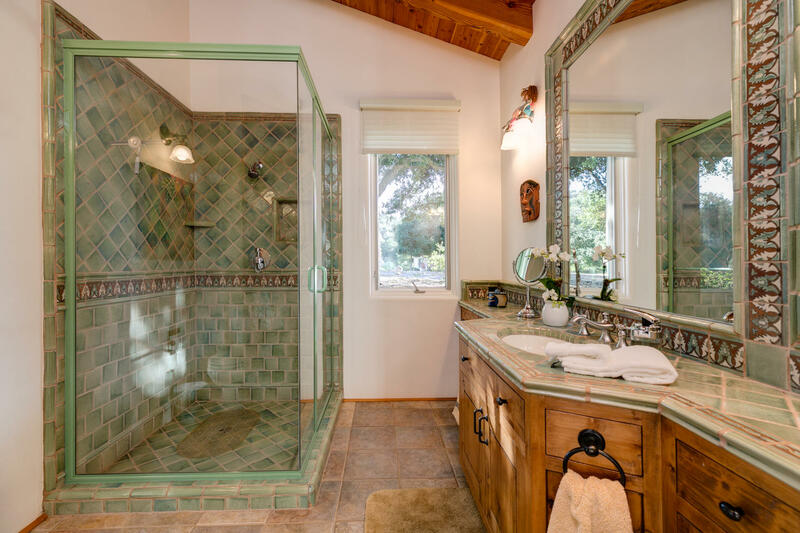 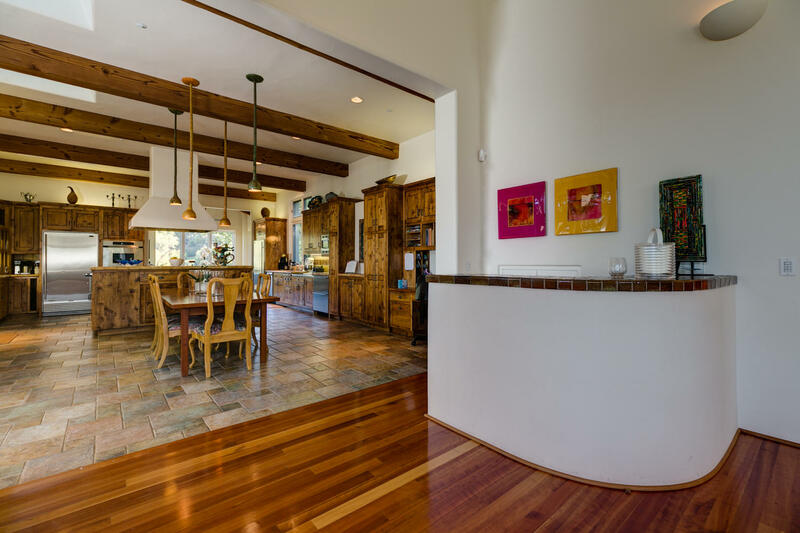 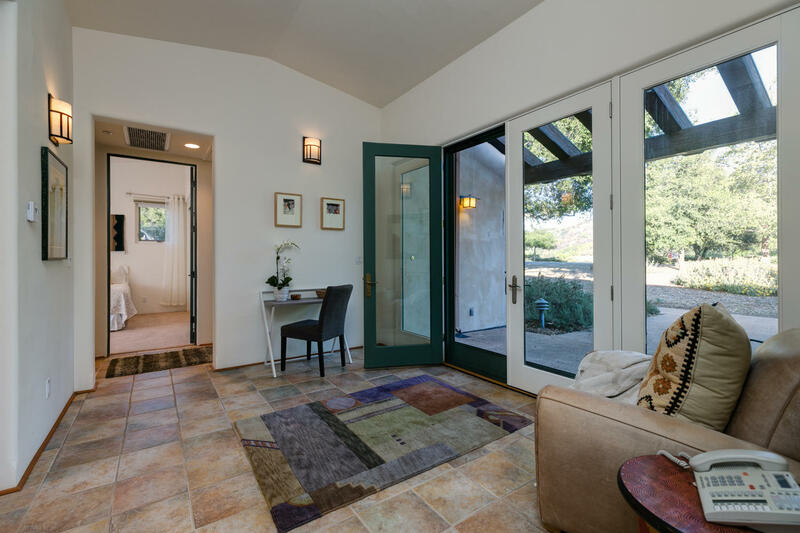 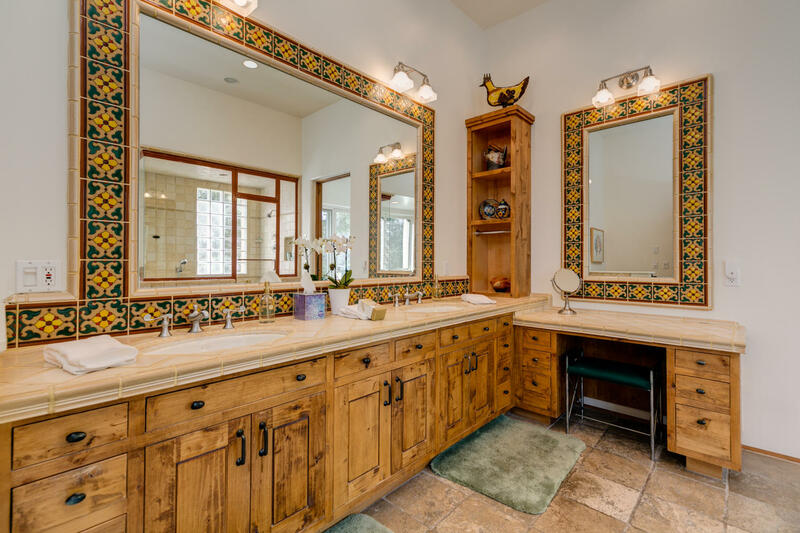 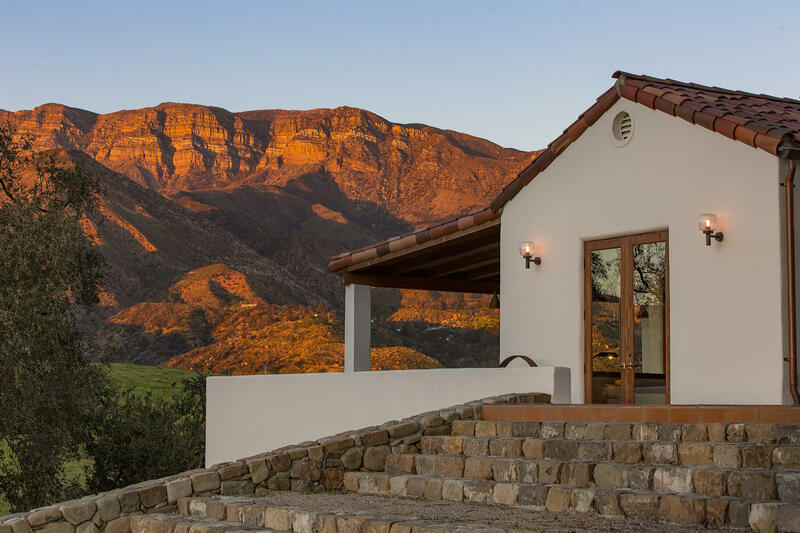 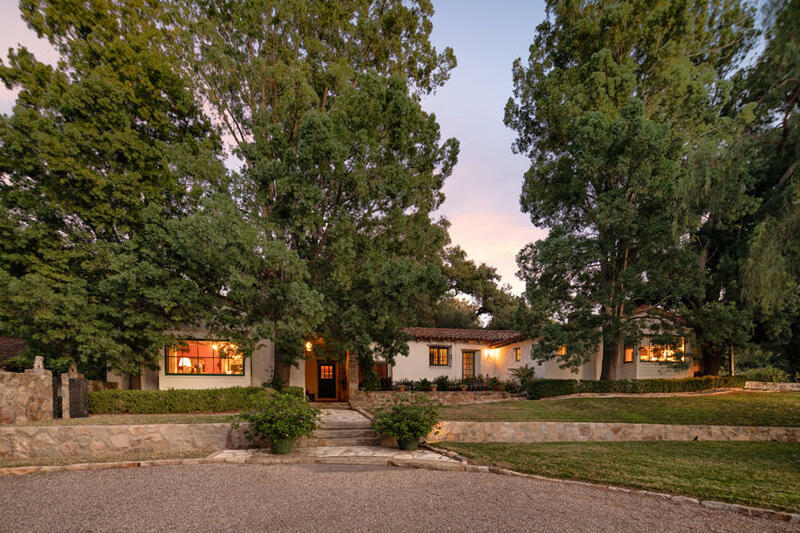 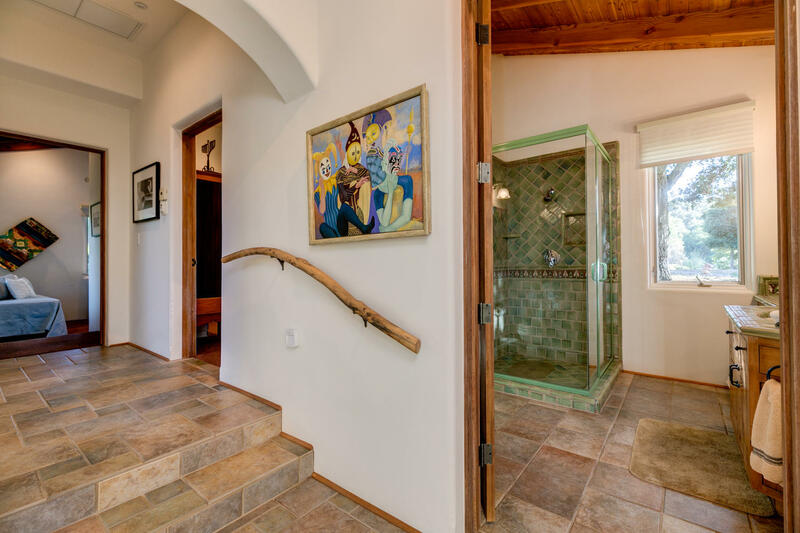 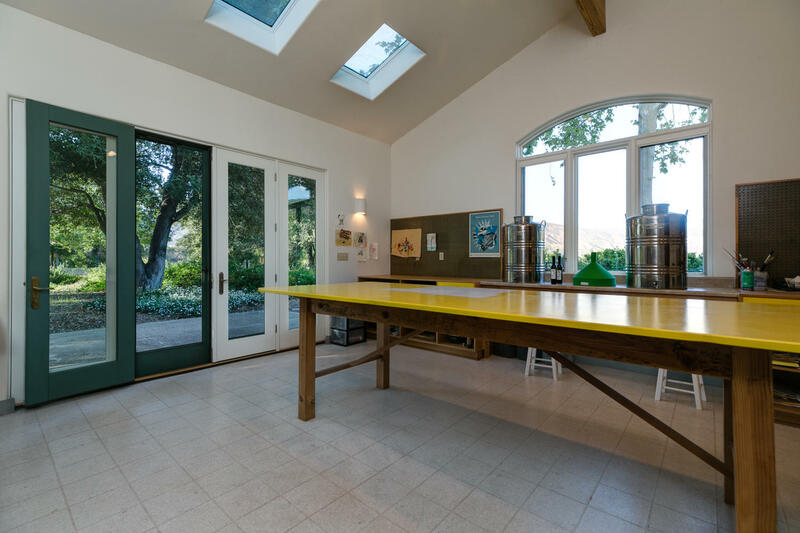 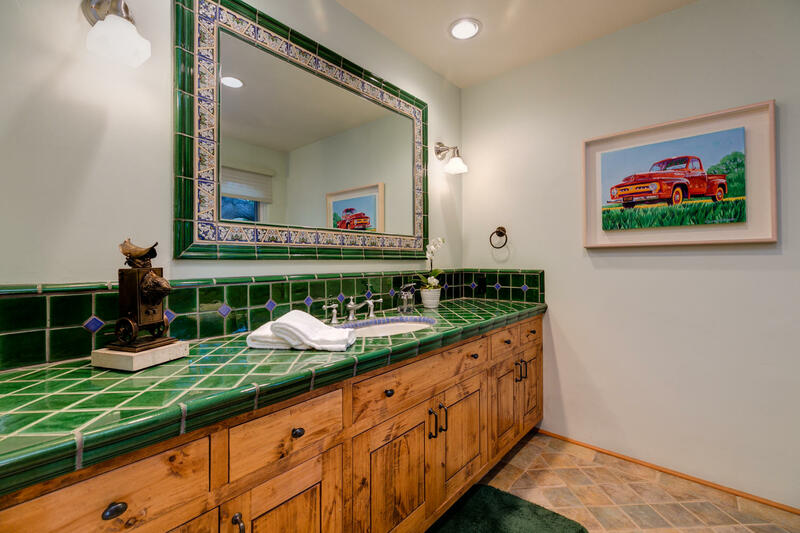 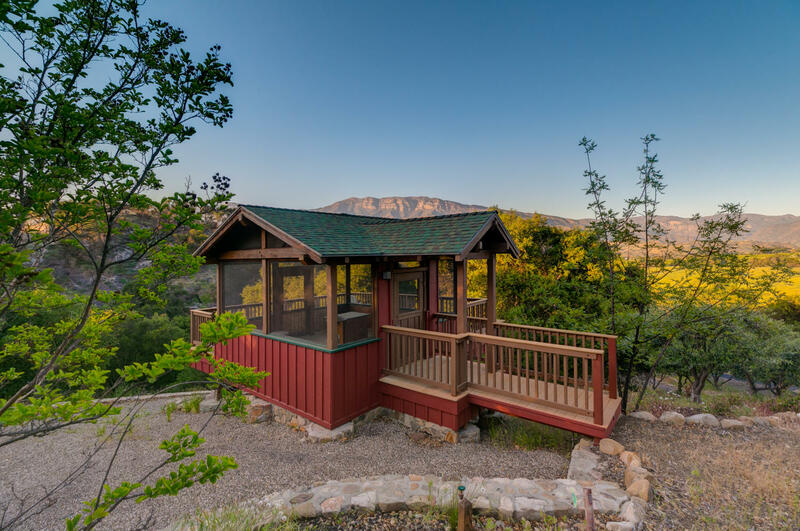 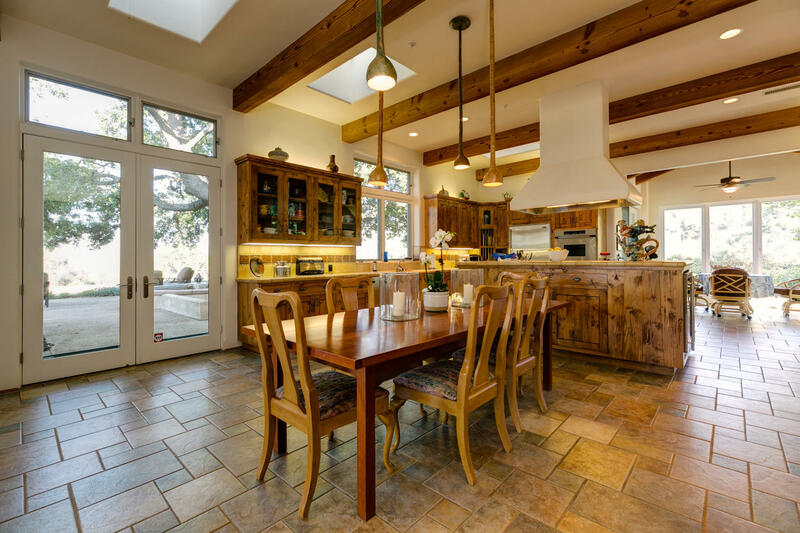 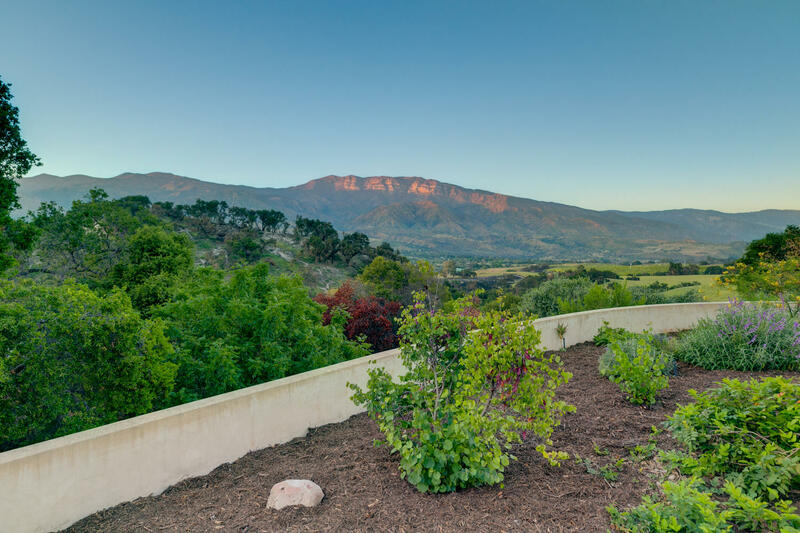 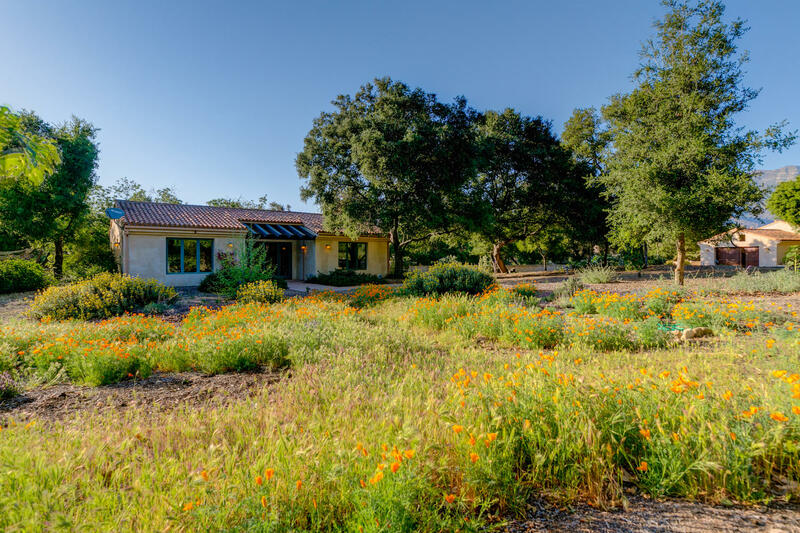 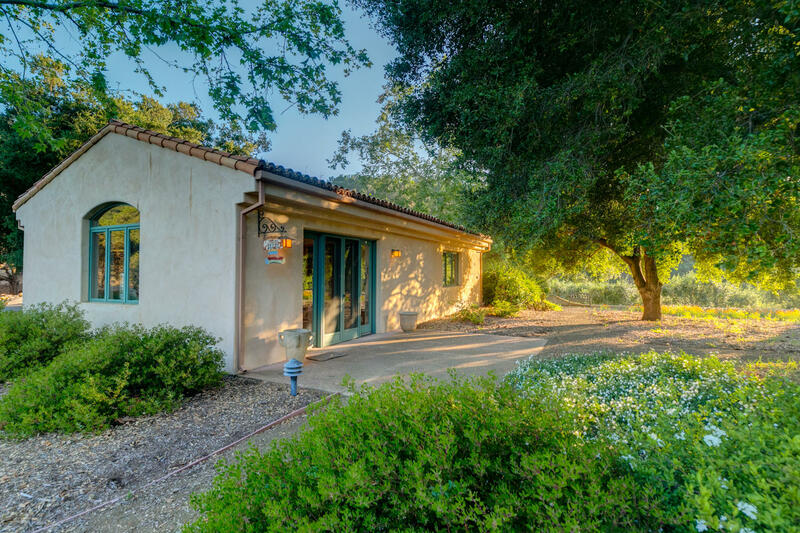 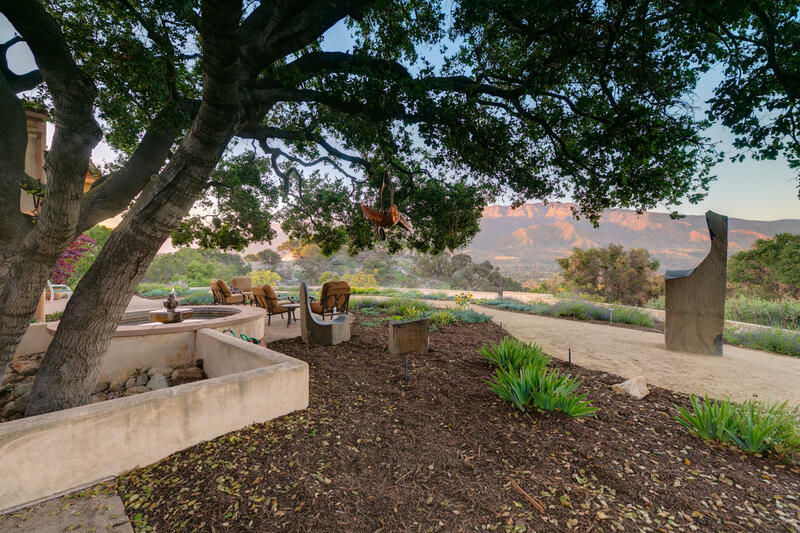 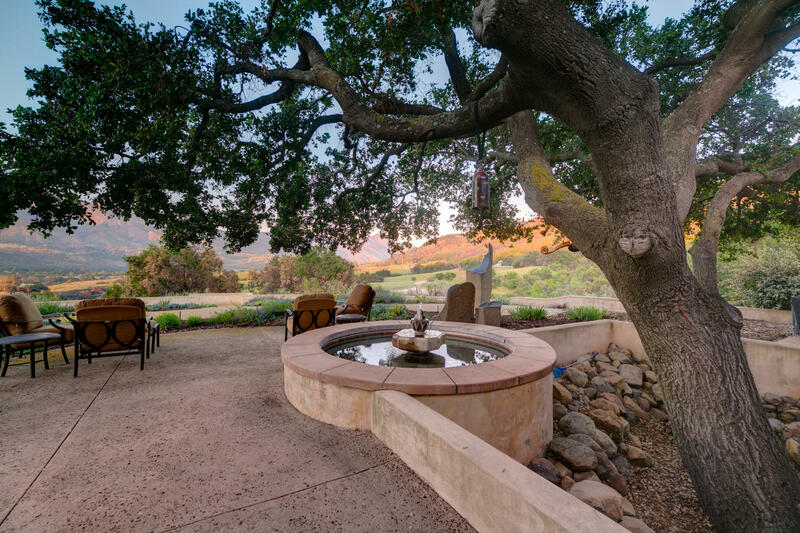 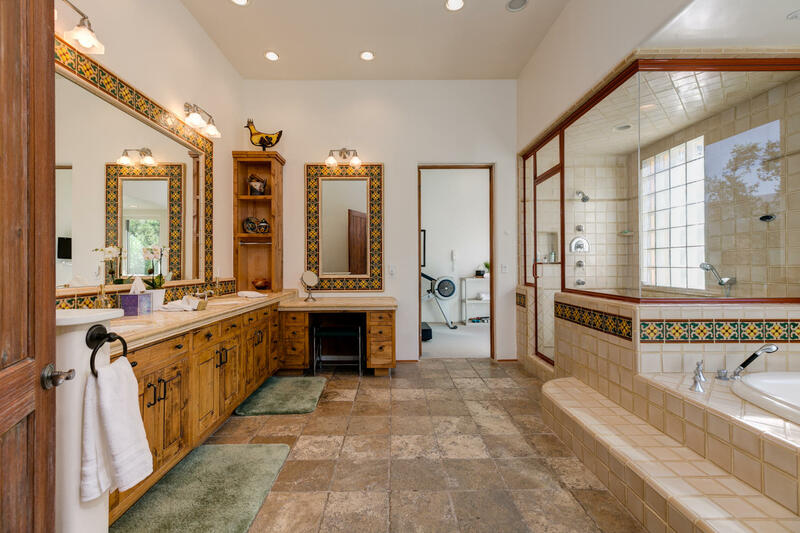 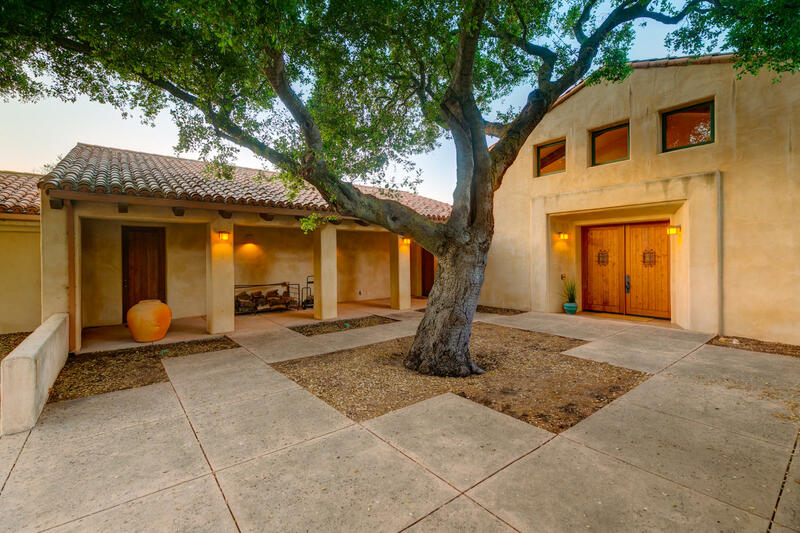 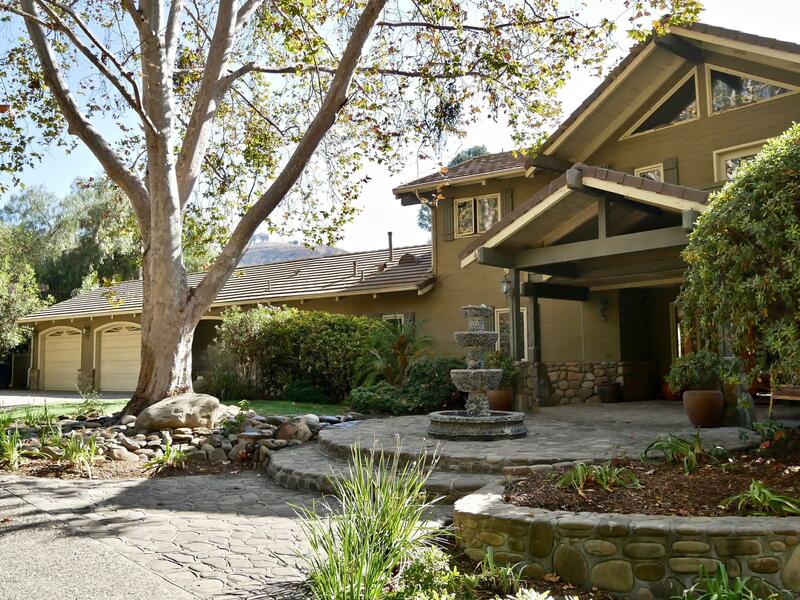 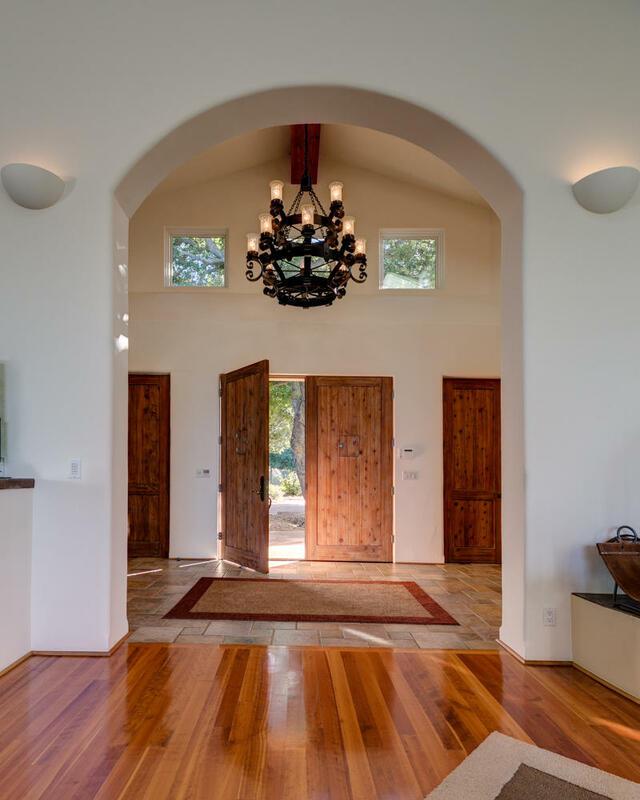 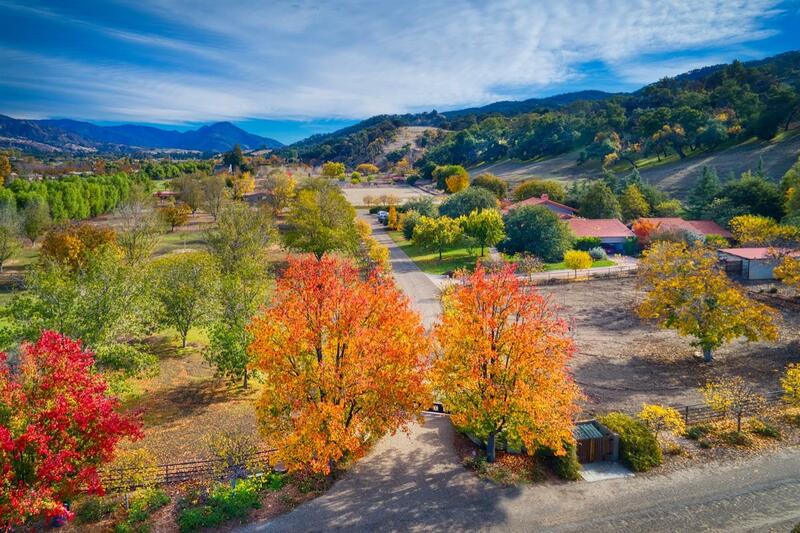 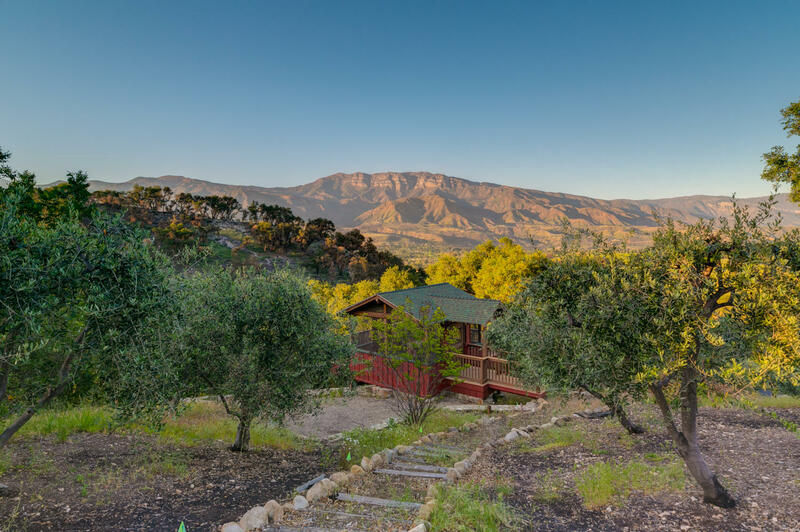 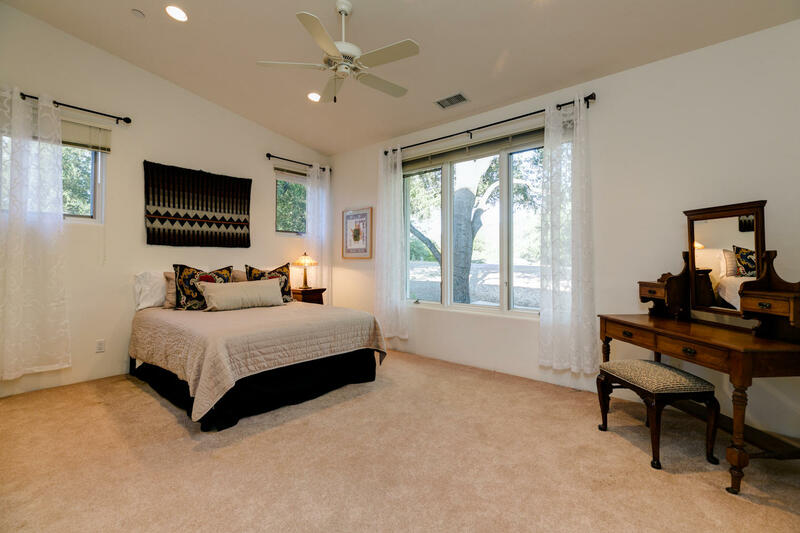 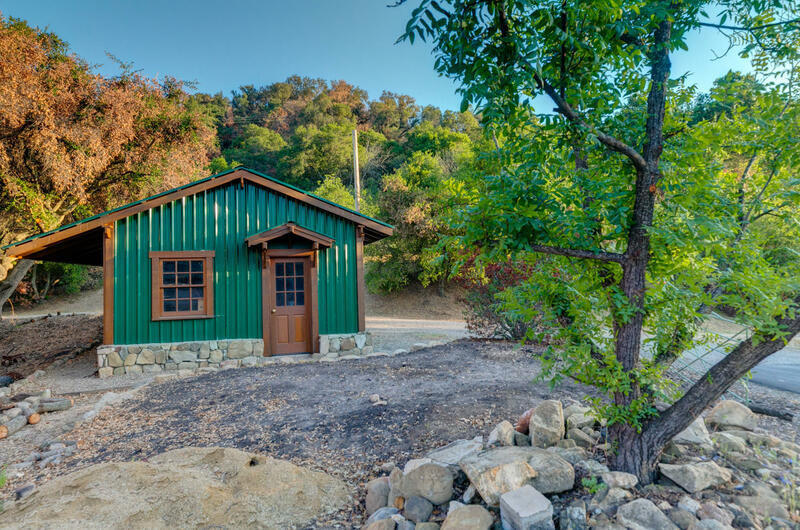 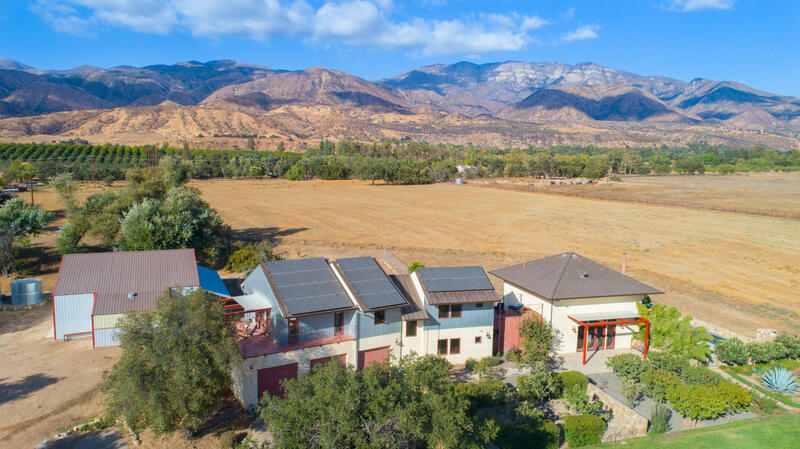 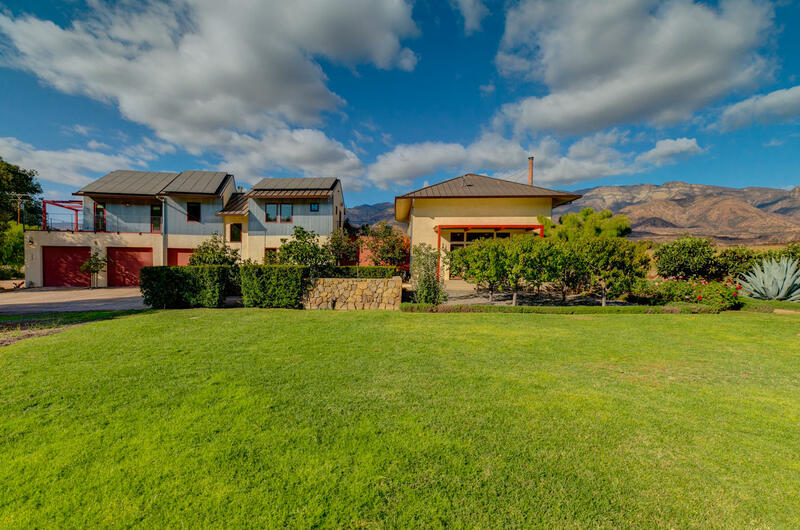 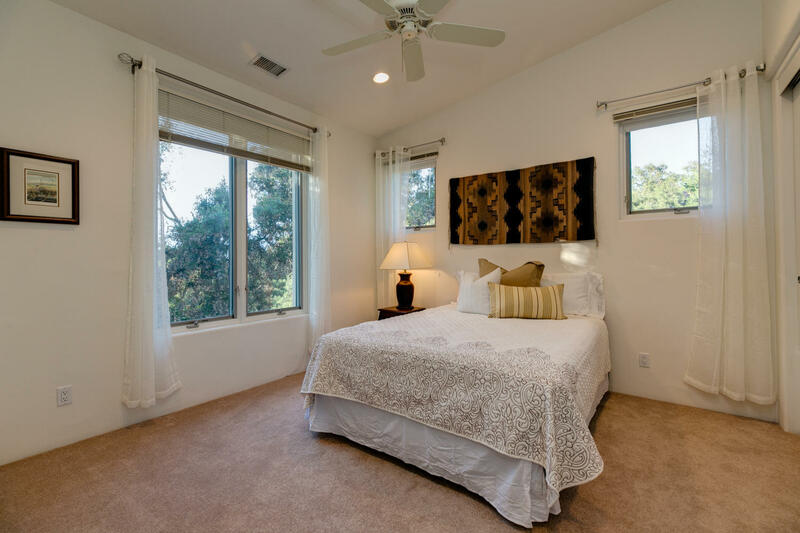 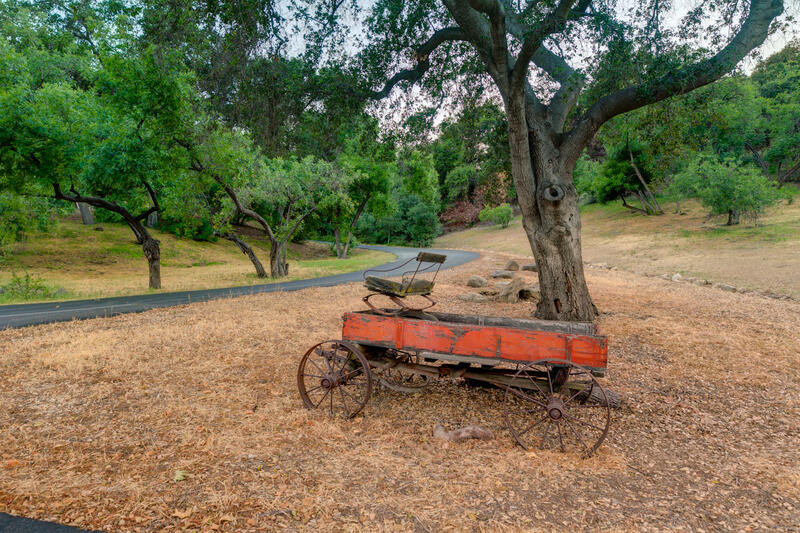 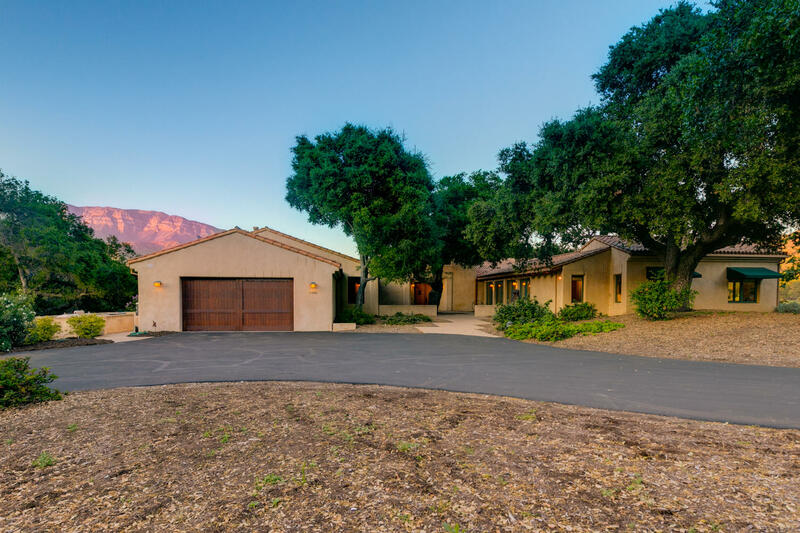 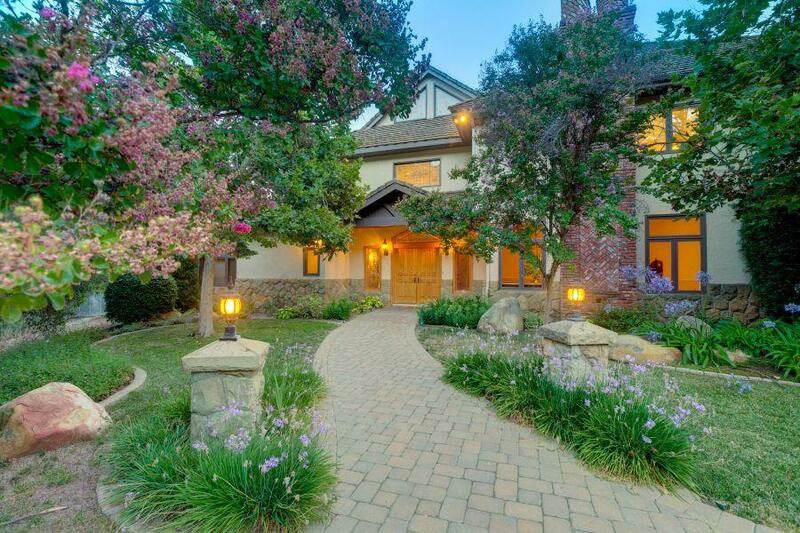 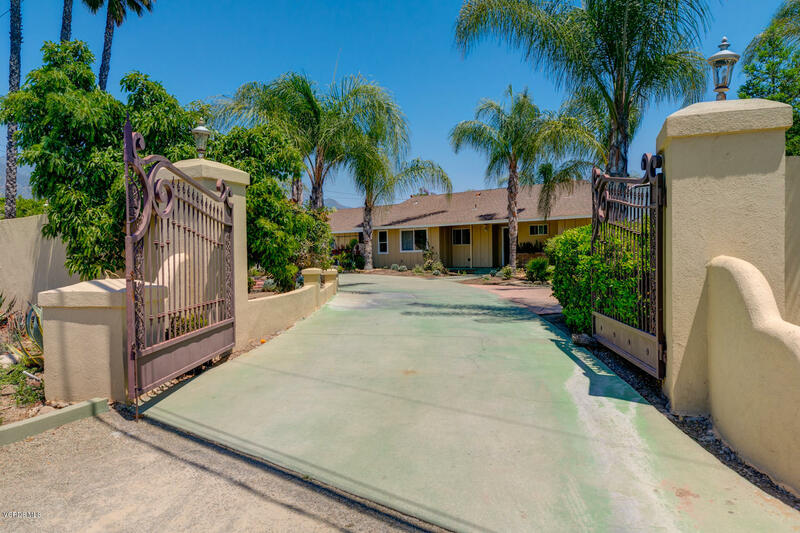 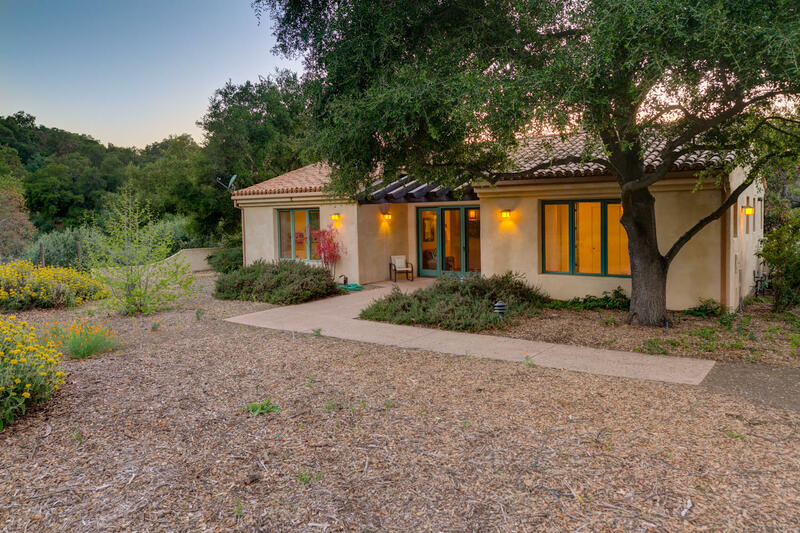 Serviced by a great well and powered by solar this Ojai compound is the ultimate retreat!